Not so long ago Apple claimed to have built the best laptop display. Retina MacBooks sold in large quantities because people love to have the best gimmicks available. But that’s a thing of the past. When Samsung introduced QHD+ screen in their laptops MacBooks with Retina displays fell behind. 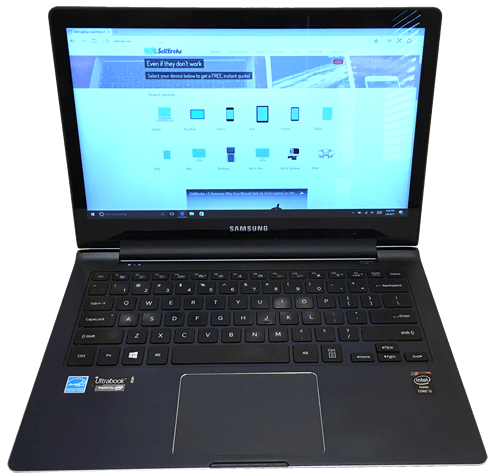 Samsung’s 940X Ultrabook with 3200×1800 pixels resolution touchscreen also beats another Apple’s bestseller the iPad with Retina display. 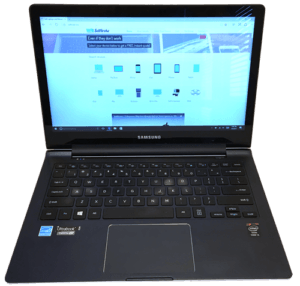 Samsung ATIV Book 9 Plus is definitely worth looking at in a used laptop market. 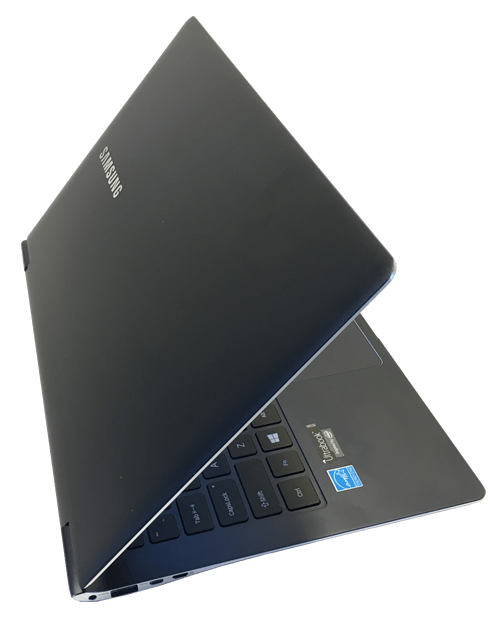 With outstanding touch display and Intel Core i5-4200U Haswell processor, this Samsung notebook is a very close competitor to Asus VivoBook Q301L Touchscreen laptop, which we talked about couple weeks ago. The core i5 CPU clocks at 1.6GHz or up to 2.6GHz via Turbo Boost. All that keeping power consumption within expected limits. If you buy this laptop 4GB RAM will have to be enough. 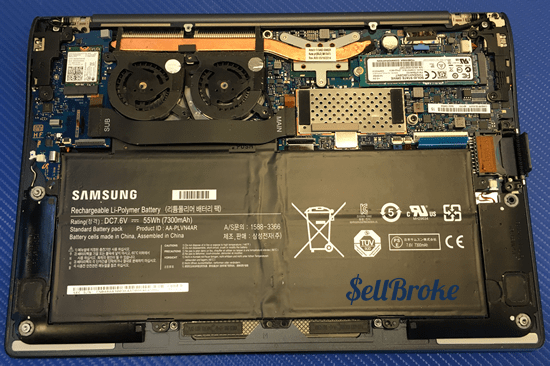 Samsung integrated the memory with motherboard so that can’t be upgraded. If you require more memory then stop reading and look at another laptop perhaps Dell Inspiron 15-7548 which also has excellent touch display and stylish aluminum body. 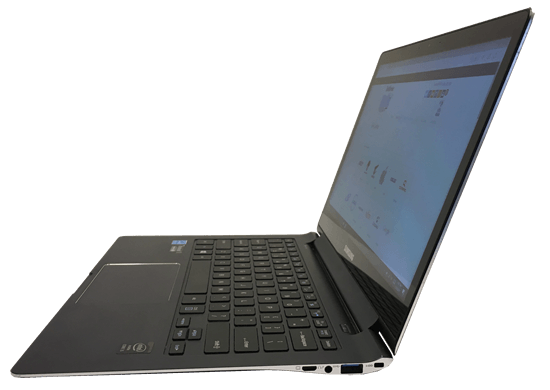 But if you’re in the market for an ultrabook then the 15-inch Dell laptop might be just too big. 128GB SSD fortunately can be upgraded if you need a bigger storage drive and are willing to pay the price. Solid state drives make operations much faster compared to hard drives. And that can make up for less memory and slower processor for daily home and work use. The HD 4400 graphics perform well, producing perfect image for the the native resolution of 3200×1800 pixels screen. But if you’re looking for a computer to game on as well you will be better off with Dell XPS laptops. Some games will work especially on lower resolution setting but that’s not what Samsung engineers had in mind while creating the 940X. This computer will better serve if you want to edit videos. The 13.3 inch PLS touch display, when originally released, set new standards in the industry overshadowing Apple’s Retina MacBook Pro, iPad and iPhone. On the other hand when the laptop was released with its highest resolution the software world wasn’t ready yet. 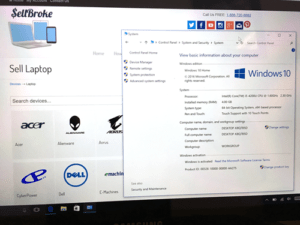 Original operating system, Windows 8 could be used only with 1920×1080 pixels setting. 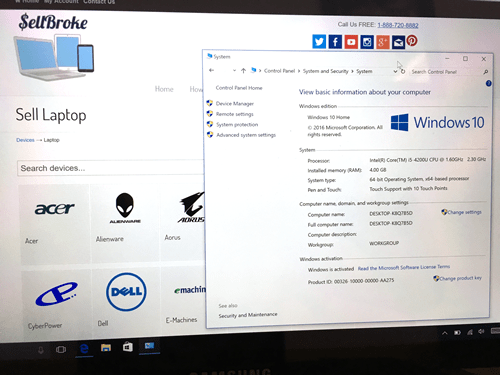 Full QHD+ was ready to use with updated Windows 8.1. Viewing angles are satisfying, colors are intense and very accurate. For maximum performance from the display you will have to keep the laptop plugged into an electric outlet. As much as we would want the screen to be antiglare it is not. It’s very reflective making it difficult to use the laptop outside in sunny conditions. Considering its portability you will want to take it everywhere with you. Samsung’s aluminum case, with attention to every detail, surpasses the elegance of laptops like Macbook Air 13”. Single pieces of the case are super thin and light, yet very sturdy. Put together they create a beautiful dark aluminum chassis with rounded edges and silver trim finish. Ports are usually limited in ultrabooks nowadays. The ATIV Book 9 has VGA port, Audio jack, USB 3.0 and security lock on the right side. On the left side features another USB 3.0 port, micro HDMI and LAN adapter. That’s not too bad for such a thin laptop weighing only 3 lbs. Equipped with good speakers and long lasting battery, up to 11 hours this laptop can well be used for entertainment on the go. Even on a second hand market the laptop isn’t cheap. That’s due to high-quality materials used and great performance for even most demanding applications. 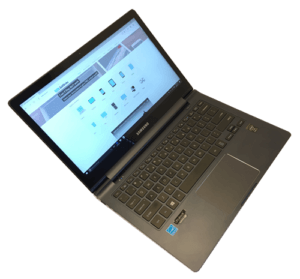 If you can spend a little more consider the hybrid LEVOVO Yoga 900 reviewed on Sell Laptop Back last month. Otherwise you will love the Samsung 940X for its looks, portability and performance.